Little is known about pre-state registration in Georgia cities and towns. The state began issuing uniform license plates to all motorists statewide in 1910. 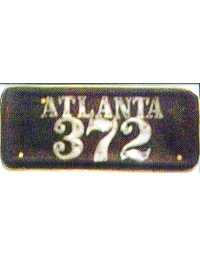 To the best of our knowledge, only Atlanta registered automobiles before that date, and only one leather pre-state plate survives from that city. Other municipal license plates are known (i.e. Cedartown, Newnan) but the consensus of opinion is that these are from a later period. A single leather plate bearing the initials “GA” is known in a collection. 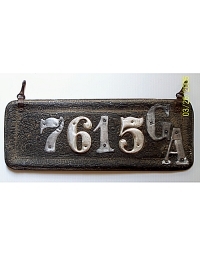 The relatively high number on this plate (shown here) suggests that this is a replacement for a state-issued 1910 tag. 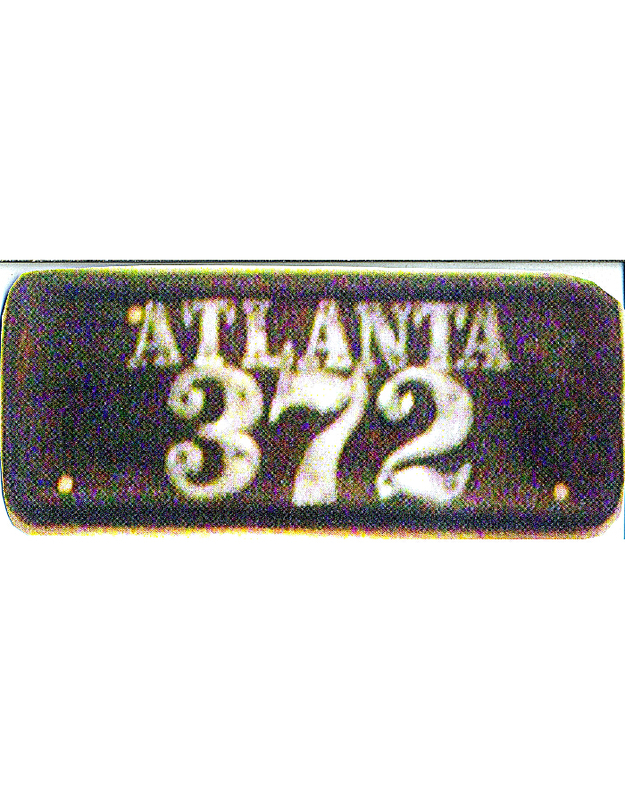 If this is a city plate, it could only be Atlanta given the high number. Additional research is needed on this unique leather license plate.